Dimensions: 12 1/4 x 10 1/2 in. 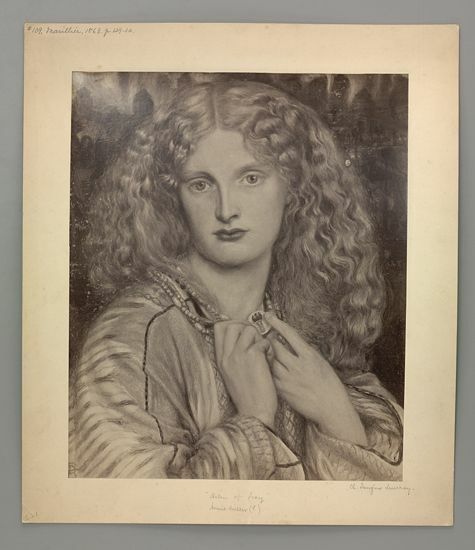 Age of Rossetti, Burne-Jones, and Watts, Tate 1997, 98. 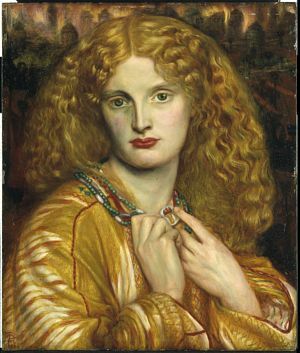 Benedetti, Dante Gabriel Rossetti, 240. Marillier, DGR: An Illustrated Memorial , 129-130. WMR, DGR as Designer and Writer , 41. Surtees, A Catalogue Raisonné , vol. 1, 92 (no. 163). Surtees, A Catalogue Raisonné , vol. 2, plate 232. Helen of Troy ελεναυσ, ελανδροσ, λεεπτολισ destroyer of ships, destroyer of men, destroyer of cities. Painted by D.G. 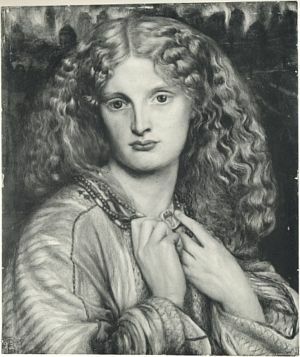 Rossetti. Note: DGR's inscription of this quote from Aeschylus' Agamemnon appears on verso.